When it comes to growing your business, one of the most important aspects to being able to grow and scale successfully is by you having a dedicated team. This is not as easy as simply having a few people and getting them to go off to work – it can take time and dedication, and a bit of patience to actually build your team, so it’s important that you have a few steps in place, but that also you’re taking the time to do it properly, so that it can work with the best results for all concerned. In this post we’re going to share with you some steps that you can take to get started building a team. The very first step that you need to take when building your team is to know exactly what you’re building a team for. You need to know what services you need and what areas of your business are a priority for building a team instead of just hiring random people for things that you think need done, so you need to take a piece of paper – this can be either physical or digital and write down all of the things in your business broken down by the areas of your business. So, for example, marketing, sales, and finance, and the different areas that may apply to your business. Then you need to write down all the tasks that are associated with these specific areas of your business and look at where you have the highest priority for bringing someone in to help with this. For example, you could know that sales is a crucial area of your business, but you really struggle with this side of things yourself so bringing in a sales team or even just one salesperson at the beginning can really help make a big difference in your business. Building a team doesn’t always mean that everyone needs to work in-house – there are some things that can be done remotely or by outsourcing. For example, you could outsource things like offsite backup by Grayson Data Services. You could also outsource your copywriting to someone remotely or even your finance team could work remotely. The main thing is that you have a team that you can trust and it doesn’t matter if they work in house or on the other side of the world. Now that you have your list of things that you need done in your business it’s time to actually start looking for the people who can carry out those tasks. You can find people in different ways, for example, you could post ads to a job board, or even to freelancing sites if you’re looking for remote contractors. You could look at contacting recruitment agencies who could find people on your behalf, or you could simply reach out to your existing network and ask for recommendations for people who have worked for them. For example, if you know other business owners who are working with team members, then it’s a good starting point to ask them since if they’re doing well and have built that relationship then they’ll be able to recommend someone who is reliable and trustworthy. Before you bring someone into your business it’s important that you have some systems in place and that you can organize things before people come in. Of course the whole point of bringing people in is that you have different perspectives and different skill sets that can help you with areas that you’re perhaps a bit weaker in and then this could even apply to organization, but you need to be able to let people know what it is that you expect from them by creating some kind of process for them when they initially come into your company. This can even just be something simple like a document that includes things like logins and passwords and a list of clients that you work with. Obviously, interviews are a crucial part of the hiring process, and this again applies regardless of whether someone is working in house or remotely as you need to be able to interview them to get to know if they’re going to be a good fit for your company, and also if you’re going to be a good fit for them as an employer. 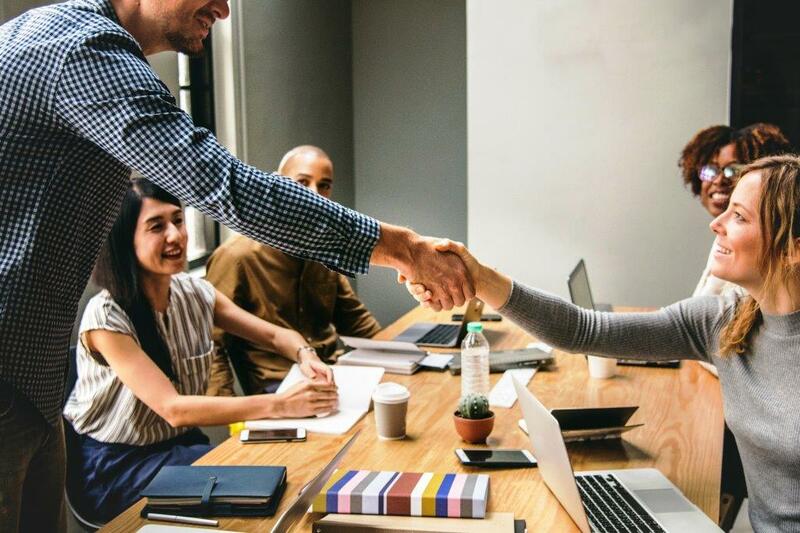 The interview stage is about getting to know someone and not just about judging them on their experience and skills, but also seeing if their personality is a good fit for your company. Although it can be tempting to just go with the first person who seems great on paper, when it comes to interviewing it’s important that you keep an open mind and look at different candidates objectively – this can even mean bringing in someone else to help you with interviewing so that you can get a different perspective and look at things in the bigger picture long-term to see what’s going to be best for your company. Just like any area of your business, you need to test things out and hiring people is no different in this respect. You should do trial runs with people to see if they fit in your company and also if they enjoy working for you. If it’s not working out, then this can then be broken at the end of the month with no hard feelings and no obligation, and if you feel like it’s working out and you would like to continue the relationship long-term, then you can go for a longer term contract but trial runs are definitely a good way for you to test out someone working in your company on a practical and daily basis. Just as you would in any area of your business you need to regularly review things to see what’s working and what’s not, and this applies also with your team. You need to perform regular reviews with your team not just for you to judge them and test out how things are going with their performance but also how they feel with you and see if there’s anything that you can do to change or perhaps adapt within your company to make things easier for your team. If you’re never able to look at your faults then you’re going to find it very difficult to grow and it’s not just about expecting your team to adapt, so you need to perform regular reviews. This can either be monthly or quarterly, but as long as they’re getting done and you’re able to receive feedback and constructive criticism as well as give it, then you’re going to find that growing your team becomes a lot easier for everyone involved, and can also be a lot more enjoyable, and that you will get more from the relationship when it’s two-sided instead of just expecting that your team come and do the work and that you can criticize them at every turn. We certainly hope that you found this post useful and that now you can have some clear tips on how to go about starting to build your team. Building a team is not something that happens overnight, and it is going to take a bit of work and patience, but it’s certainly worth it once you get the right team on board and you’ll see just how much it helps to grow your company and how much freedom you create, not only in your business, but in your life as well. Could Customers Make These Complaints About Your Website?